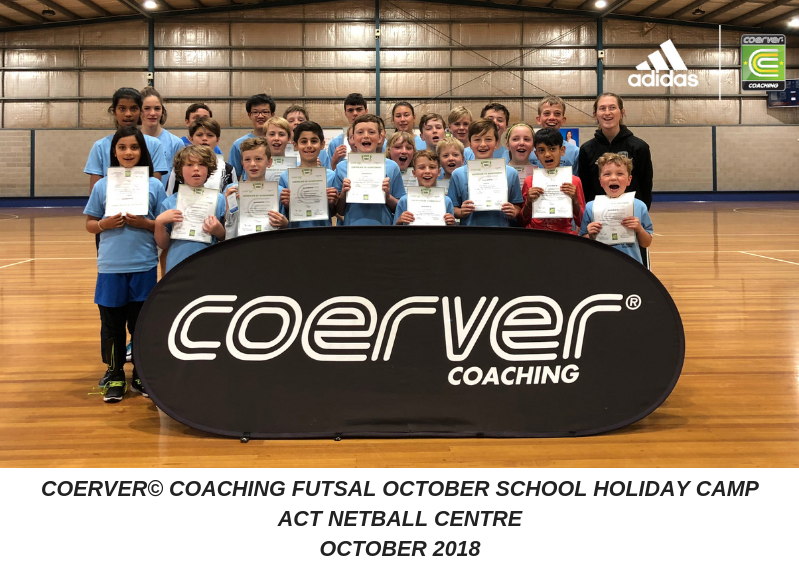 Coerver® Coaching ACT conducted the Coerver® Coaching Futsal October School Holiday Camp this week at the ACT Netball Centre. The camp was conducted over four days and was based on the globally recognised Futsal Pyramid of Player development. 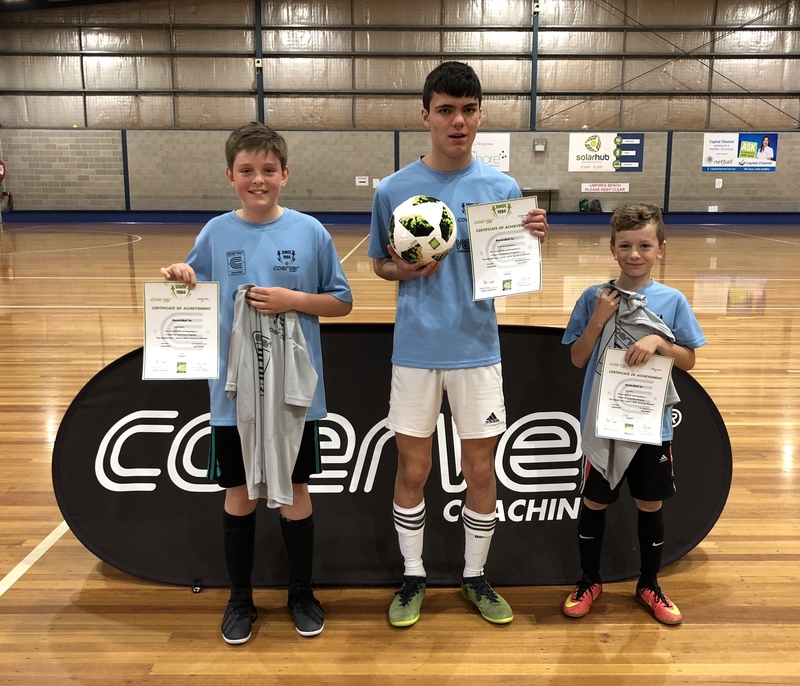 This camp utilized the Coerver® Method of ball mastery and graduated pressure to build technical competence and played carefully selected games to build functional success. It was great to see the improvement of all the players during the week. Throughout the camp the Coerver® Coaching Staff selected a player from each squad as the overall players of the Futsal School Holiday Camp. The globally recognised Coerver® Futsal System of Player Development is perfect to develop both better futsal players and also more skilful football players. The Coerver® Caching Futsal program is endorsed by Carlos Ortiz – the current captain of Spain, and Richardinho - 3 time world futsal player of the year. Once again we would like to congratulate all players who attended the camp on a great week and we look forward to seeing you at a Coerver® Coaching program in the future.